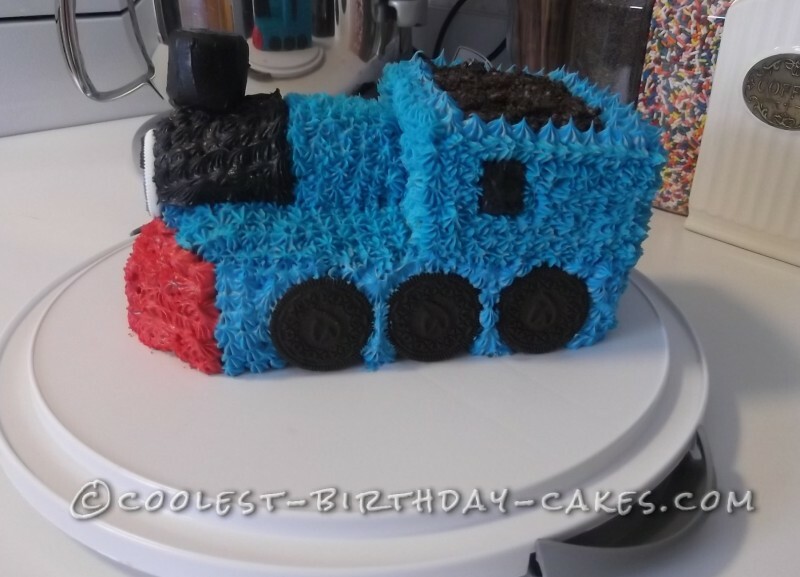 This is a pretty simple Thomas the Train birthday cake I made for my nephew’s second birthday. I showed a picture of the carved cake before I frosted it. 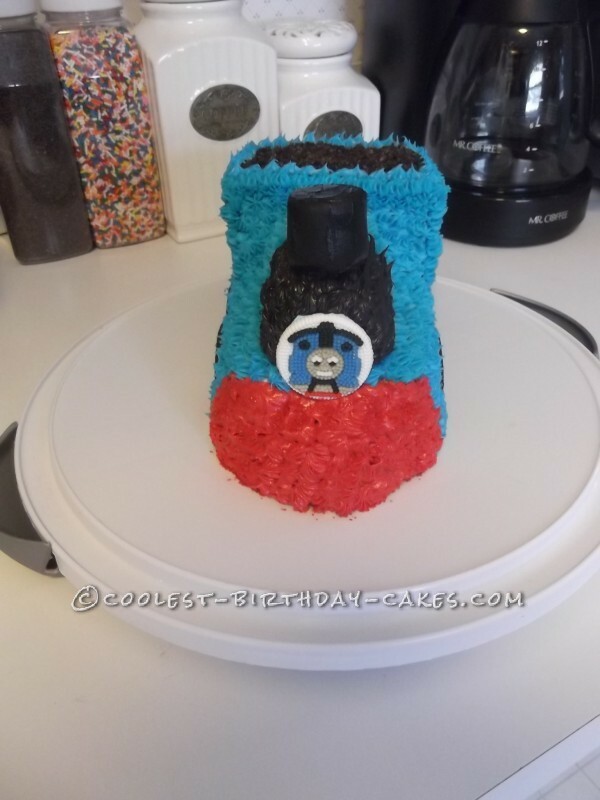 I started with a 9×13 cake that I cut two 4×9 pieces for the front of the train and two squares about 4×4 to stack on the back. 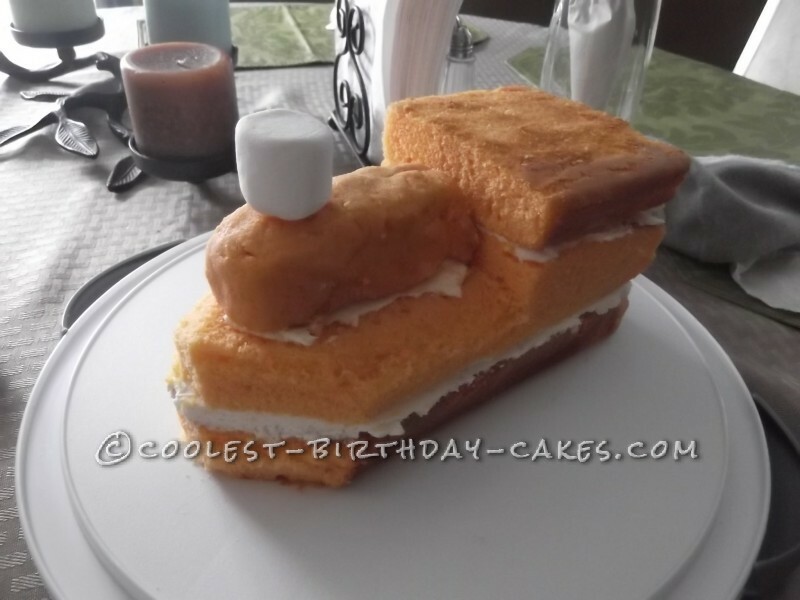 Mixed some cake scrapes with frosting and rolled into a log shape for rounded front part. You could also use a ho-ho snack cake for the log, thought of it after.